At Doug’s Construction and Repair, we are your top choice for quality air conditioning, furnace and water heater services throughout the Rexburg area. We understand your reliance on these critical components in your home, and we know how unpleasant life can be when they are not working properly. When you call our skilled and experienced team for water heater or heating and cooling service, you can expect us to respond quickly with 24-hour emergency service available. You will never wait long for help to arrive when you contact our team for help. In addition to repair services, we also offer maintenance and new installation service throughout the local area. Air conditioners, furnaces and water heaters are like a car. When they receive preventive maintenance service on a regular basis, they will operate more efficiently, and expensive repair issues can be minimized. Our masterful team provides exceptional preventive maintenance service to meet your needs. At Doug’s Construction and Repair, we care about each of our valued Rexburg area customers, and we encourage you to shop around before replacing your water heater or cooling and heating unit. There are unfortunately many scams in this industry, and you stand to lose a lot of money by choosing to work with the wrong company. While you definitely want to shop around, remember that we will price match all items for the same class of product. We also offer affordable financing solutions with same-day funding through a simple loan application. Controlling your home’s indoor climate is essential, and we offer the repair, maintenance and new installation service that you may need from time to time. This includes services for modulating heating equipment as well as single and 2 stage options. The top mistake property owners make is installing the wrong unit for the size of the home and the ductwork already in your home. We take time to analyze the ducting airflow before explaining your best options to you. 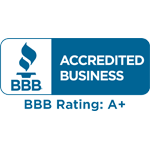 We recommend that our customers choose Goodman HVAC products because they have a solid Better Business Bureau rating. Because the typical repair service is more than $1,000, some customers will opt to replace an old model of heater or air conditioner Rexburg with a new more energy-efficient model. After all, it makes little sense to repair a unit that is not energy-efficient and that may completely die within a few months or years. Services are available for $90 and up, and new units can be installed in your home for as low as $35 per month. When you need service for your water heater in Rexburg, we are the company to reach out to. Your water heater provides you with a convenient and reliable source of heated water for bathing, cooking, cleaning and more. Through Doug’s Construction and Repair, you can schedule around-the-clock service for repair or maintenance of all types of water heaters. This includes boilers as well as tank and tankless water heaters. If you have a very old water heater model that may already be failing or that requires frequent repair work, it may be more cost-effective to replace it with a new energy-efficient model. Our repair team can provide you with all of the information you need to make the best decision possible for the care of your home. Remember that the lifespan of a tanked water heater is only eight to ten years. If you haven't provided your water heater with annual maintenance service, the life span can be significantly reduced, and the unit may not be as efficient as it should be. Repair service for water heaters starts at $90, and you can get a new unit installed in your Rexburg area home for as little as $35 per month. Regardless of your current service needs, Doug’s Construction and Repair is the company you want working for you. You can count on us to go the extra mile to impress you with a job well-done and to provide you with honest information so that you can make savvy decisions to care for your home. Contact us now to set up an appointment with one of our experts.